Lord Macaulay is credited with codifying the criminal laws in India in the mid-nineteenth century. The said codification gave birth to three major criminal Acts in the form of “Indian Penal Code, 1860”, “Indian Evidence Act, 1872” and “Code of Criminal Procedure, 1973 (Amended)”. While applauding a Brit for giving us a fair criminal code which sought to bring about equality between the subjects as far as the criminal law was concerned, it must be not be forgotten that India was still under the British Raj that time. This has resulted in retention of certain draconian colonial flavour in these statutes. If one peruses the provisions of the Cr.P.C. the unassailable fact that emerges is the vast and unbridled power vested with the police. The power of the police to investigate is plenary. The power to register an FIR suomoto or on information provided by a person is absolute (Section 154 Cr.P.C.). The police can enter into the property of a person, conduct raids (Section 94 Cr.P.C. ), seize documents (Section 102 Cr.P.C. ), freeze accounts etc. in case of a cognizable offence. They also have the power to make arrests without a warrant in such cases (Section 41 Cr.P.C.). The only safeguard that a citizen has is that he has to be produced before the jurisdictional magistrate at the earliest and not later than 24 hours (Section 57 Cr.P.C.). Additionally, the police can seek a police remand from the Court for custodial interrogation of an accused (167 Cr.P.C.). What happens at the police station is hardly in the realm of speculation. When India became a republic and we gave to ourselves the Constitution, the Preamble only mentioned liberty of “thought, expression, belief, faith and worship”. The most important aspect of “personal liberty” is conspicuously absent in the Preamble.Having said that, I must concede that the makers of the Constitution put “personal liberty” in Article 21 i.e. in Part III of the Fundamental Rights Chapter which is the soul of our Constitution. Thus personal liberty has been put at the same pedestal as a right to life. The said right is also available to non-citizens. Article 22 lays down the rights of a person at the time of arrest and detention. The Supreme Court in Gurbaksh Singh Sibbia Vs. State of Punjab (1980) 2 SCC 565observed that no one can accuse the police of possessing a healing touch nor indeed does anyone have misgivings in regard to the constraints consequent upon confinement in police custody.Arrest involves restriction of liberty of a person arrested and, therefore, infringes the basic human rights of liberty. In criminal law an accused faces the risk of losing personal liberty at broadly three stages. The first stage is his arrest by the police pursuant to registration of an FIR against him. The second stage is his lodgement in jail on account of denial of bail by the court. The third stage is denial of suspension of sentence and bail; post his conviction, pending appeal. Under Section 41 of Cr.P.C. any police officer has the power to arrest any person without a warrant against whom credible information about commission of a cognizable offence has been received. The said provision is so widely worded that it gives an unbridled power of arrest to any police officer. Section 41 A of Cr.P.C. gives discretion to a police officer to give notice to an accused where he feels that arrest under Section 41 (1) of Cr.P.C. is not required. The Supreme Court in Joginder Kumar Vs. State of U.P. (1994) 4 SCC 260 held that the power to arrest without a warrant should be exercised only after a reasonable satisfaction is reached after some investigation with regard to the person’s complicity in the crime as well as the need to effect arrest. Unfortunately, this subjective satisfaction of the investigating officer is not justiciable. In D. K. Basu Vs. State of West Bengal (1997) 1 SCC 216 the Supreme Court laid down detailed guidelines with regard to the manner of effecting arrest and the rights of the person arrested. This judgment resulted in extensive amendments in the Cr.P.C. like examination of the arrested person by a medical practitioner (Section 54 Cr.P.C. ), identification of the person arrested (Section 54 Cr.P.C. ), health and safety of the arrested person (Section 55A Cr.P.C.) etc. The Supreme Court in an erudite judgment in Arnesh Kumar Vs. State of Bihar (2014) 8 SCC 273 expressed a serious concern about the manner in which arrests were being made in matrimonial disputes under Section 498 A of IPC. Directions were given to all states to instruct their police not to mechanically resort to the power of arrest under Section 41 of Cr.P.C. and employ the provision of notice under Section 41A of Cr.P.C. Now let us discuss the shifting bail jurisprudence. The US enacted the Bail Reform Act of 1966, which gives non-capital defendants a statutory right where a Constitutional right is lacking, to be released, pending trial, on his personal recognizance or on personal bond, unless the judicial officer determines that such incentives will not adequately assure his appearance at trial. 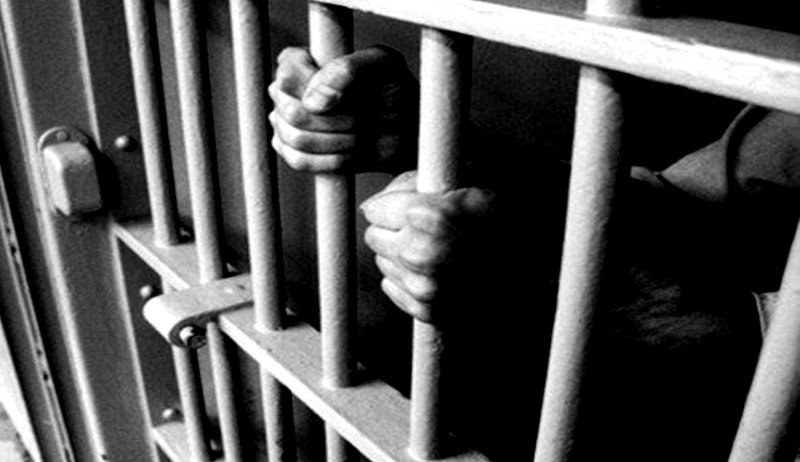 The bail jurisprudence evolved during Justice V.R. Krishna Iyer who in Babu Singh Vs. State of U.P. (1978) 1 SCC 579 held that the sweep of Article 21 made the deprivation of liberty a matter of grave concern. The judgment further held that the object to keep a person in judicial custody pending trial or disposal of an appeal was primarily to ensure the attendance of the person at trial. It is a matter of grave concern that we are again moving towards the “Police Raj” era as grant of bail is largely becoming dependent on the nature of accusation made in the FIR and the quantum of punishment under the relevant section. Accusations are exaggerated in the FIRs and bail rejection Orders are parrot like. It is a matter of shame that almost two third of prisoners lodged in jail are under-trials. In a free country like India a citizen has certain inalienable fundamental rights; personal liberty being the most important of them. It is high time that the legislature stepped in to amend the code to provide that arrest by police cannot be made without obtaining a warrant from the jurisdictional magistrate upon the police disclosing cogent reasons for arrest. It must be remembered that the principles of restitution are alien to criminal law. Once a person is arrested, the stigma of arrest and jail remain forever. Recent examples of Aarushi case and Ryan International case are some of the unfortunate examples showing police excesses. An accused must be granted bail as a matter of right in non-heinous offences to enable him to get access to legal aid so that he can defend himself. Further, a person accused of a heinous offence must be granted bail post filing of a charge sheet unless he is a history-sheeter or a real threat to the society and there is a possibility of his threatening the witnesses or tampering with evidence. The procedure for furnishing of personal bonds must be liberally resorted to in cases of accused belonging to the poor strata of the society. An accused should also be given the benefit of suspension of sentence and bail if his appeal is not likely to be decided within 6 months. Section 436A Cr.P.C. which provides that an under-trial cannot be detained beyond one half of the maximum period of imprisonment specified in the offence must be read down to one half of the “minimum period or one year whichever is longer”. Finally, Courts resorting to impose coercive conditions for bail like deposit of large sums of money as a condition precedent for release of an accused is an anathema to bail jurisprudence. Mr Anupam Lal Das is an Advocate at Supreme Court of India.